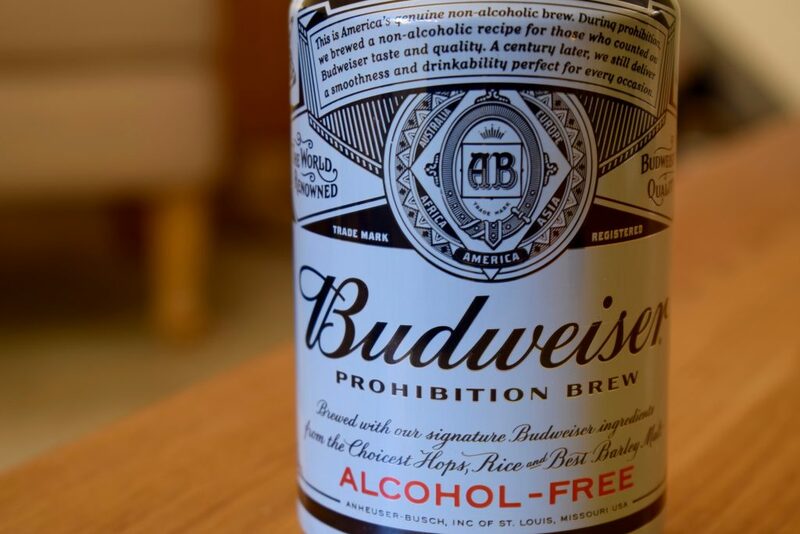 When prohibition hit in the US in 1920, Budweiser’s parent brewery Anheuser-Busch decided to concentrate on selling brewer’s yeast, malt extract, ice cream and the curiously named “Bevo”. Bevo was a non-alcoholic malt drink or “near beer” that came in under 0.5% ABV to get around the laws of the time. It fell out of favour in the late 20s when everyone was allowed to get drunk again. Fast-forward 100 years and prohibition is back, this time as the name of Budweiser’s take on alcohol-free beer. 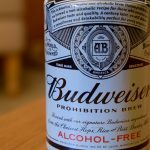 Apparently brewed to the same recipe as the alcoholic version, Budweiser removes the alcohol in “Prohibition Brew” by heating the beer in a vacuum. It also uses a brewing process that stops all of the malt fermenting. As you’d expect from one of the world’s best selling beer brands, this is no craft beer. 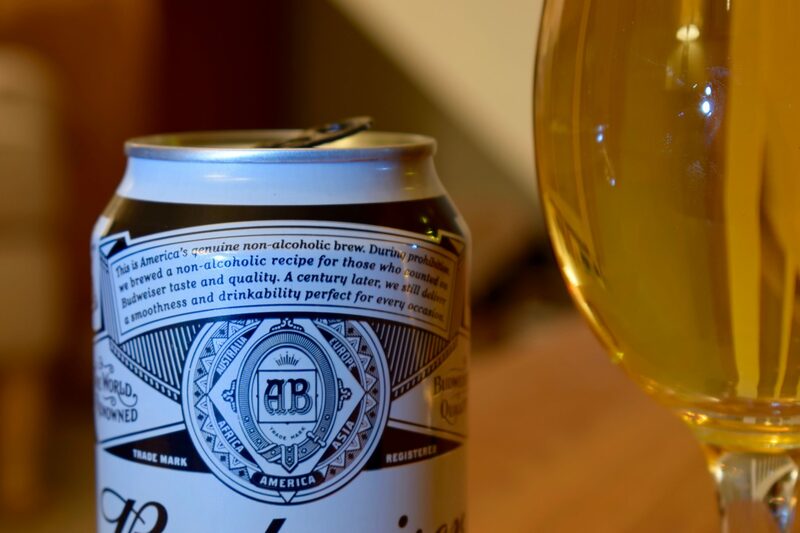 A check of the ingredients confirms this – as well as the basic beer ingredients of yeast, water, malt (barley) and hops, Prohibition also contains malt and hop extract, “natural flavours” and rice. Actually, rice is quite common in mass-produced beer because it’s fermentable but doesn’t add as much flavour as grain like barley and wheat. So it’s perfect for those who don’t like too much flavour in their beer. Does that mean Prohibition beer doesn’t have any flavour? It poured like a standard lager with lots of fizz but no head. I struggled to get any aroma from the glass apart from an acidic almost vinegary twang. This aroma grew sweeter the more I drank. In the mouth, it feels quite thin like a standard Budweiser or similar lager. There’s lots of carbonation, which soon brought on a few burps. Flavour-wise, there’s not much about – maybe a bit of apple or pear with a little bitterness. I soon got the vinegary twang in the taste as well as in the aroma, which reminded me of a cask ale that’s been on sale too long. Overall, it’s slightly more interesting than fizzy water and surprisingly sickly after a few sips. 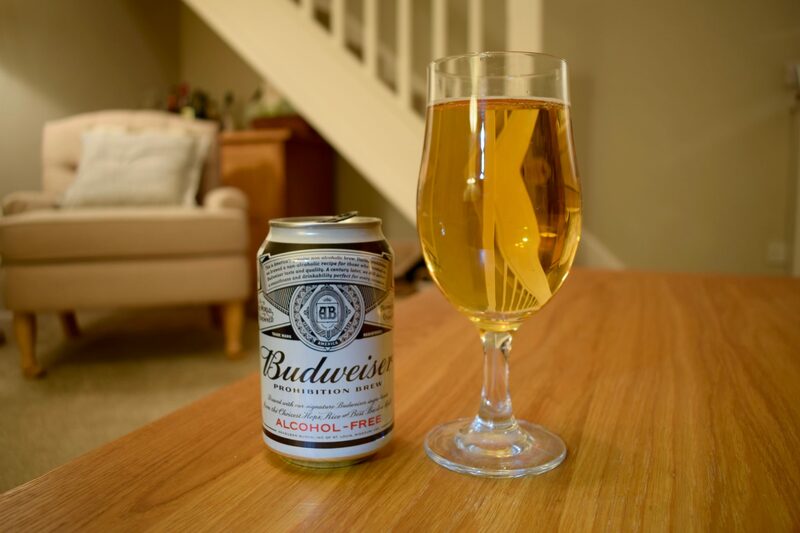 Budweiser’s owner AB InBev wants 20% of its beer to be alcohol-free by 2025. I’m not convinced Prohibition Brew is going to help it reach that goal. That said, with AB InBev’s marketing budget behind it, Prohibition Brew could help raise the profile of low alcoholic beer in general. And while it’s never going to compete with a low alcohol craft beer, fans of mainstream lager might find it palatable.